Feng Shui is the Chinese traditional art and science of placement of home decor and furniture. 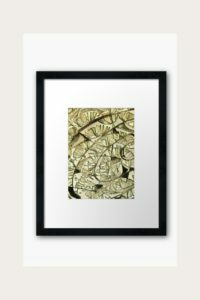 Feng Shui is a large topic to cover in just one post, so I’m focusing on just a few aspects of Feng Shui in this post: placement of art in the home, particularly colours that correspond to good Feng Shui practices in the home. The bottom 3 sections of the Bagua are aligned with the front of your house. 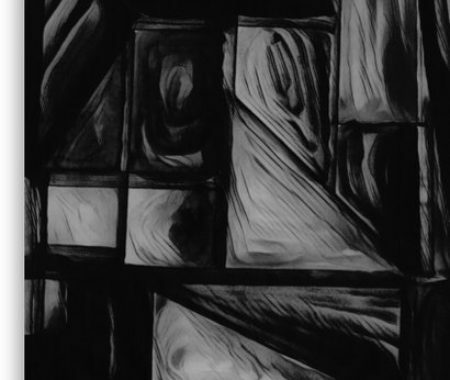 For instance, my front door enters in to the ‘Career & Work Success’ area – the corresponding colour is black in this area. I have windows at the front of my house in the ‘Travel & Helpful People’ section and ‘Knowledge / Spirituality / Growth sections’. My kitchen is located in the Wealth section in the far back left area of the home with corresponding colours of purple etc. As you can see from the Feng Shui infographic, there are several ‘elements’ that correspond to each section of a house. 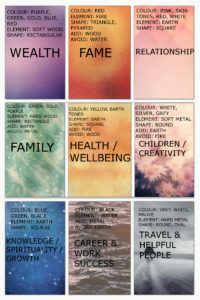 Introducing art into your home with the colours associated with each section of the Feng Shui colour chart is a great first step in balancing your home and create design harmony in your space. 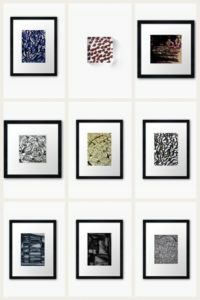 All of the pieces featured above are framed prints of my ink and watercolour work. The artworks are available, please see the listings in this post if interested. 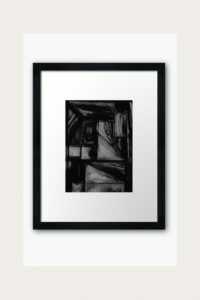 The exception to the framed prints is the ‘Abstract Apple’ acrylic block which corresponds to the ‘Fame’ section of the house. 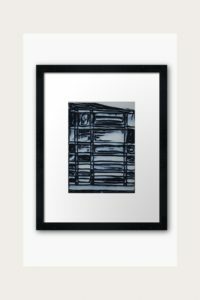 I enjoy the weight of the acrylic block and think that its better to have a heavier piece of art in this section of the home. 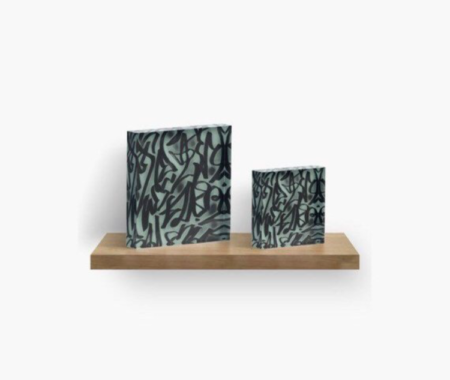 The Abstract Apples 2018 piece is a smaller shelf decor piece, but has a wild abundance aspect to it that I like for this area of the home – it is available in 4 x 4 or 6 x 6 sizing for reference. So where is your door located? In the ‘Knowledge & Spirituality’ section, ‘Career & Work Success’ or ‘Helpful People & Travel’ Area? 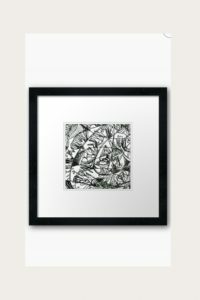 Below are art pieces to feature in your front door area or foyer depending on where your door is located. See more details on sizing on Redbubble here. 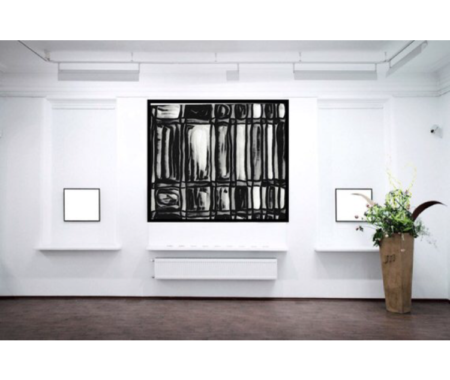 If your door is at the center front of the house, like mine, bringing in a black piece of art is ideal. Here is an example. Custom sizing is available for all pieces listed. Redbubble includes 4 sizes, however for custom sizing feel free to contact me. I’m a big fan of this ink watercolour and digital media piece I created this past summer. For more details on sizing, please see the Redbubble listing here. If your door is to the right of the center of the house. Grey prints work well in this section. 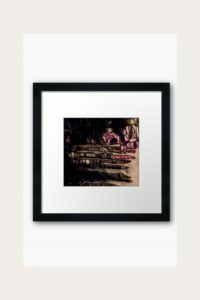 This is a new piece recently added to my portfolio. Please see sizing, pricing in the listing here. The center section of homes are divided into 3 sections as seen above: ‘Family’, ‘Health & Wellbeing’ and ‘Children & Creativity’. Most rooms stretch over a few of the Bagua sections, for example the ‘Health and Wellbeing’ section could be your central stairwell and livingroom at the same time. The ‘Family’ section is in my bathroom and hallway for instance :/ What I’ve done in that area is add artwork featuring the colour green and some greenery to the washroom as well. As an aside, a quick Feng shui fix for bathrooms is to keep drains closed, toilet seats down, clean and bright. One of the reasons why I love practicing Feng Shui is that the solutions are generally so intuitive and good design and household practices. 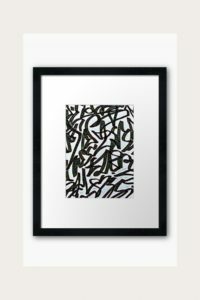 This framed print is part of my ‘Graffiti Tree’ series of 2017. 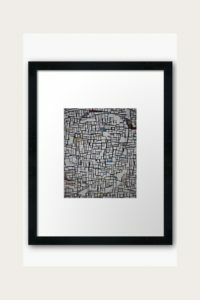 This framed print comes ready to hang from Redbubble. Please see the Redbubble sizing and pricing here. I hung this print in a 45 x 30′ canvas in my central stairwell last year and enjoyed the colouring all year. I like to refresh that space every year, so I’ve chosen another piece for 2018. For details on this piece, please see the listing here. 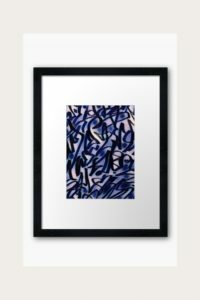 I’ve chosen this piece because of it’s white background and additional colour hues work well in the ‘Creativity and Children’ area of the home. Please see the listing here for sizing and pricing. For details on this print, please see the listing here. The center back area of the home is the ‘Fame’ area of the Feng Shui Bagua. The colour is red in this area. I have a few prints that are red in colour but chose this acrylic block to be added to this area. I think that with fame people tend to become ungrounded as well. Adding weight to this area and colour is a good solution. This piece is entitled ‘Abstract Apples, 2018.’ I like the abstract abundance of the print to the acrylic block. 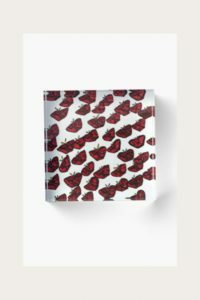 For more information on the sizing and pricing of this acrylic block, please see listing here. Lastly is the relationship section of the home – the far right corner. I’ve chosen a recent print that I’ve completed for this area just because of the pink and skin tone accents to it. I don’t particularly like to decorate in the typical ‘Relationship’ colours, but I wanted to provide a pink example. For information on this print, please see here. That concludes this article on Feng Shui art solutions. If you have any questions, feel free to reach out.